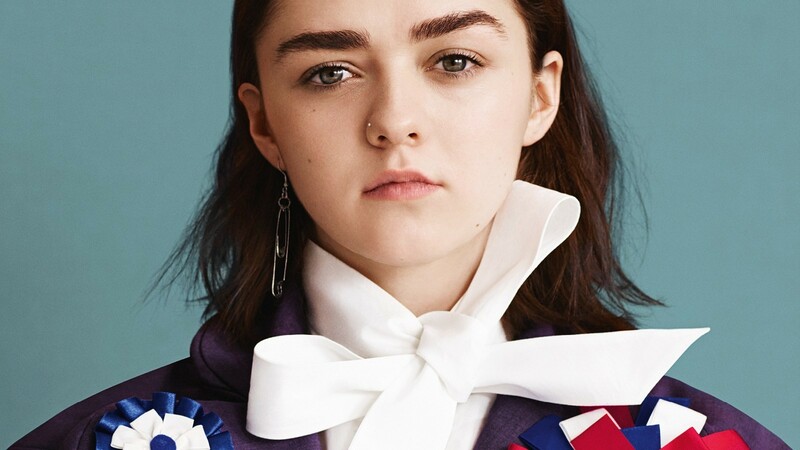 The star of the most downloaded show in TV history turns 18 just in time for the general election, but she’s still not sure which box she’ll be checking come May 7. “Mum was like, ‘Read the manifestos and vote for what’s good for you,’” she says, rolling her eyes. “And I was just like... ‘Err, none of this.’” Sitting in a north London breakfast spot in scruffy kicks and nose stud, Williams refuses coffee, but jabbers away like she’s buzzed off her nut, contorts her face like Pee-wee Herman, giggles along like your new best mate, shrieks when shocked, and explains the meaning of ‘thirsty’ with relish to any grown-up that’ll listen. It’s the same infectious personality that’s won her a huge following online, where she’s equally at home snapping herself singing Joni Mitchell’s famous lines “don’t it always seem to go / that you don’t know what you got till it’s gone” as an elegy to her empty fridge as she is bumping to OT Genasis’ viral smash “CoCo” in the club. Since entering cult consciousness at the age of 12, Williams – who was “raising hell in the 90s”, according to her Instagram bio – has left a trail of fire and brimstone in her wake. 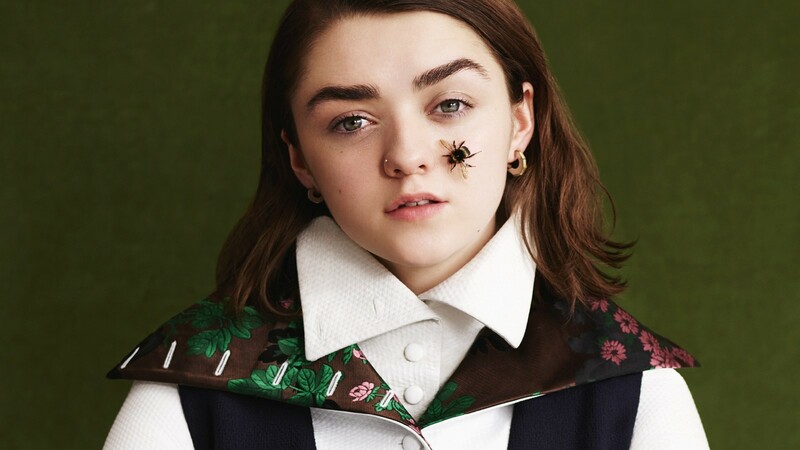 As Game of Thrones’ bull-headed badass Arya Stark, she favours her trusty blade, Needle, over needlework, and roams the Seven Kingdoms with a pageboy hairdo striking off foes from her kill list. Playing a murderous outlaw must have taught her a thing or two about cutting close to the bone: away from dragon’s den, she’s cultivated a taste for roles that veer away from trite teen tropes to shine a spotlight on the dark side of humanity. After recently taking on pervy hackers in Channel 4’s Cyberbully, she plays the lead in Carol Morley’s twisted school-set feature The Falling, released this month, which has more in common with A Clockwork Orange than the jolly hockey sticks of St Trinian’s. In The Falling, Williams plays Lydia, the troubled daughter of a paranoid agoraphobic mother in rural England. It’s 1969, and Lydia is naive, sexually inexperienced and content to play sidekick to her magnetic friend (outstanding newcomer Florence Pugh) until a tragic twist puts her at the centre of a fainting epidemic in her panopticon-like all-girls school. Branded hysterical by doctors, suffocated by school ma’ams and maddened by her mum, she grows increasingly unhinged, plunging into a vortex of unknown emotions and forbidden pleasures as the film hurtles towards a skin-crawling climax. “I’ve been lucky,” she qualifies, “but one thing that the best role in the world can’t give you is just being, like, a normal teenager. With (The Falling’s) Lydia, I was drawing on feeling quite secluded. Even though there are so many fantastic things going on, sometimes it doesn’t matter. You feel like, ‘Oh, I’d love to have this week off.’ I’d love to know what it would have been like to just stay in school – to be doing A-levels and thinking about which university I’m gonna go to.” She would have liked to study maths, she thinks. Algebra was her favourite. In fact, being an actress wasn’t even part of the plan for Williams – there was no Dina Lohan-style momager lurking in the wings, grooming her for stardom – but she stood out from the pack from an early age, even in her pre-teen dance classes. Like “Chandelier” dancer Maddie Ziegler? She hits back witheringly: “Yeah, and my mum was a dance mom, too.” As the youngest of four siblings (she also has two half-siblings), the reality of her childhood was more Homebase than Honey Boo Boo. Happily, the next role she was up for was one where she could own her difference. All the same, Williams had private reservations about keeping the appointment to audition for HBO’s big-budget adaptation of George RR Martin’s knotty, pitch-black fantasy book series A Song of Ice and Fire. It clashed with a school trip to the local pig farm, and she was convinced that her crush would end up canoodling with another pal at the porker party. 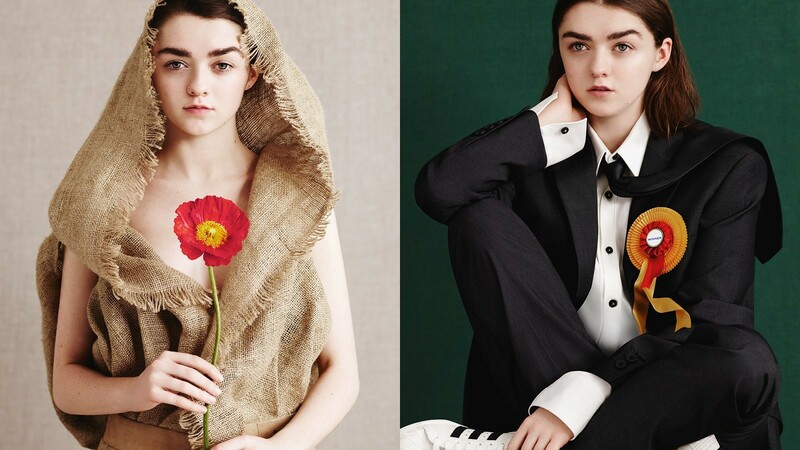 But when Johnston gave her pitch – “(Arya) is a bit of a tomboy. She’s got an older sister who is more into the girly thing, but she just wants to play with her brothers and go into battle” – Williams was sold. And after she auditioned with a fiery monologue saying she’d rather slum it on horseback than recline on the feather pillows of Queen Cersei’s carriage, so was everyone else. The depressing irony? Her interview was to promote Cyberbully, a one-off drama exploring just how easy it is to put someone down when there’s a screen in-between. A welcome antidote to TV’s typical teen portrayals, Williams’ character in the show, Casey, faces an extreme version of the kind of struggle you suspect Angela Chase would endure if My So-Called Life was rebooted for 2015. Casey is a smart and witty girl, who, like most teenagers, has sometimes slagged off her classmates, and may have taken the odd below-the-neck selfie. While Skyping her best friend one night, Casey’s laptop is invaded by a hacker, who accuses her of being a cyberbully in scary, HAL 2.0 synthesised tones. Any digital native will be familiar with the way that online abuse can turn your day topsy-turvy, so it’s no surprise that Williams’ survival instinct makes her so popular with fellow teens – just check the comments on her selfies for evidence. Channelling the uncertainties of adolescence into her powerful performances, Williams treats her roles more like soul-searching challenges than assignments – and has emerged as a spokesperson for her generation in the process. As all the best actresses know, you can only fake it till you make it for so long. Williams doesn’t only start the conversation, she knows how to be the change you want to see.